Colours and selection includes lilacs, pinks and greens. 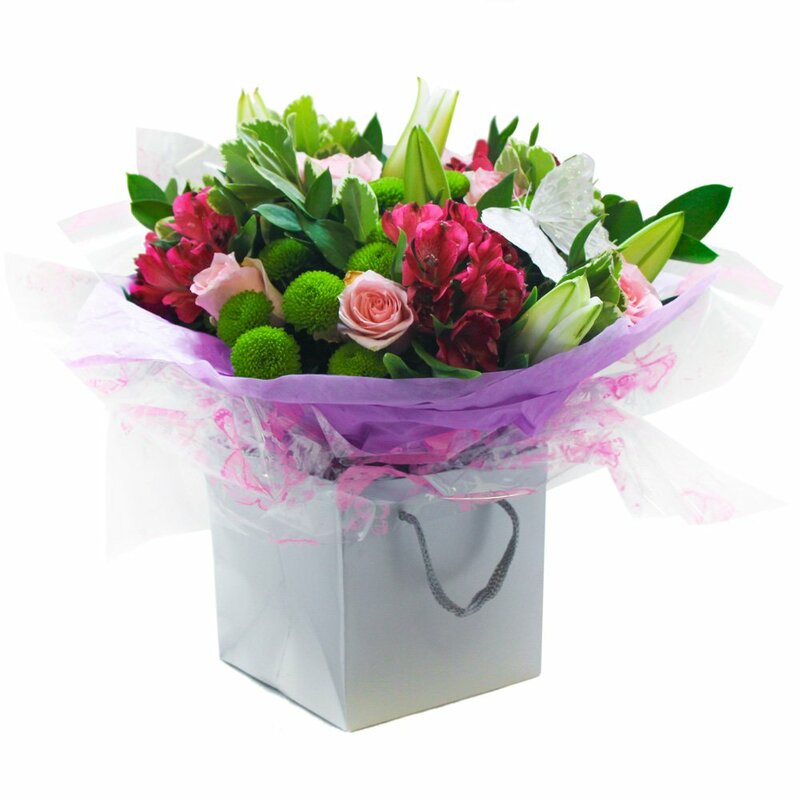 The florist will choose the loveliest flowers of the day to create this lovely bouquet to include the sweet scent of oriental lilly and a abundant selection of choice glossy green foliage. Beautifully gift wrapped to make this extra special and delivered by your local florist in water and displayed in a co-ordinating gift bag or box. Delivered by your local florist in Hereford and surounding area.